Lit.Org : Book Plugging : Coming Summer 2009 from Knickerbocker Circus : Writers Workshops, Writing Tips, articles, stories, poetry, authors, interviews, chat, links and more! 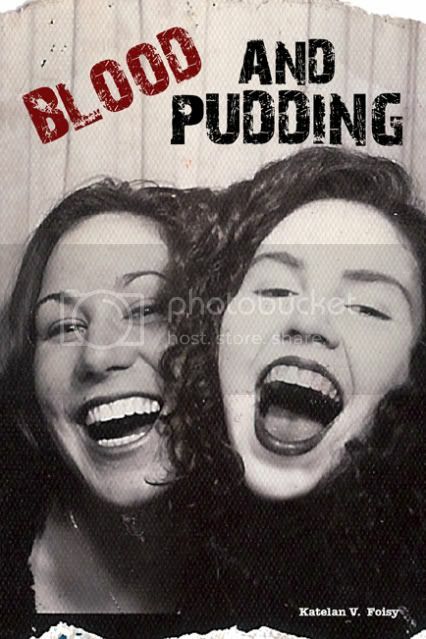 Blood and Pudding is a story of two psychoneurotic teenage cousins and their troubled relationship. Holly was manic-depressive, hauntingly beautiful, and addicted to heroin. Kat was a young “soon to be” bride and pill junky. They documented their lives furiously and lived recklessly. They had one mission: To live as much as they could in the shortest amount of time. With a double snort of crushed Xanax the journey began. Blood and Pudding is a scrapbook of two girls dealing with depression, high school, drug addiction, first loves, and untimely death. "In my writing I am acting as a map maker, an explorer of psychic areas, a cosmonaut of inner space, and I see no point in exploring areas that have already been thoroughly surveyed." The following comments are for "Coming Summer 2009 from Knickerbocker Circus"
I am so proud of you! You've gone from producing an electronic magazine to a print magazine, and now you're a published author. You, my love, are brilliant! And I'm so proud of you. You do what I do better, and with ease. Thank you! It's going to be a busy summer for me. We'll see how everything goes and once everything quiets a bit I can get back on here. Although, I must admit to not doing that much writing right now. Just editing. Lord how I hate editing. Awww thank you! Like I said to my godfather, once things calm down just a little bit I can get back on here. Hmm... a double snort of crushed Xanax. That's going on my "things to do" list today for sure. Woo! sounds cool. i'll look around for it. Well, my Brother Slack, I have just scored it for myself and since we here on this particular part of the planet are so afraid of the word "socialism" (although those who are fearfully holding up their crucifixes to ward away its evil most likely do not even know its true definition and benefits), I'm afraid I have no choice but to work within the existing order of things. This here freshly crushed Xanax is now MY capital. I own it. It is mine and it would currently be unpatriotic of me to share it with anyone unless there were an astronmical profit in it for ME. ME. ME. Hoo-hoo-hahahaaa! This selfishness is giving me a warm gluttonous rush. I think I'll join the Party and go teabag someone now. "When in Rome... "!